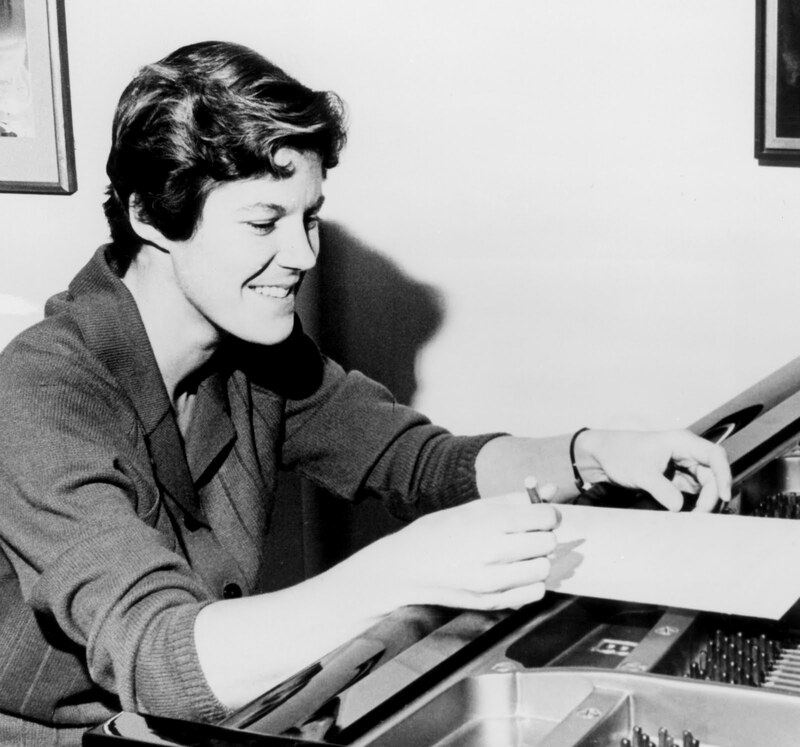 Composer Ann Southam died of cancer on November 25th. A summer music camp at the Banff School inspired the Winnipeg-born Southam to pursue music. After studies at the Royal Conservatory of Music and the University of Toronto, Southam began teaching at the Royal Conservatory in 1966. She was involved in the beginnings of Toronto Dance Theatre (TDT) having composed the music for Patricia Beatty’s Momentum for the debut concert of Beatty’s New Dance Group of Canada in 1967 and collaborated with Donald Himes on the composition for Peter Randazzo’s Trapezoid for TDT’s first performances a year later. She was composer-in-residence at TDT in 1968 and, over the years, TDT co-founders Beatty, David Earle and Randazzo all used her scores or commissioned her to create original work for their choreography such as Earle’s A Thread of Sand, Randazzo’s Nighthawks and Beatty’s Seastill. Current TDT Artistic Director Christopher House was also inspired to choreograph works to Southam’s music including Glass Houses set to Southam’s music of the same name. Other Canadian choreographers inspired by Southam’s compositions include Rachel Browne, James Kudelka, Peggy Baker and Carol Anderson. Musicians too have been drawn to her compositions including Eve Egoyan and Christina Petrowska-Quilico. Southam was known for her minimalist electronic music but in the 1980s also composed for acoustic instruments as well as chamber orchestra and later string orchestra. She was part of a generation of composers that profoundly changed the landscape of Canadian music. Southam was made a member of the Order of Canada in 2010.